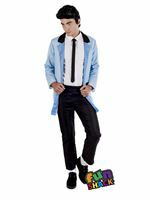 Perfect that Slick 50s American Heartthrob Look with our Adult 50's Bowling Shirt. Don't End Up in the Gutter and Choose our Adult 50's Bowling Shirt! 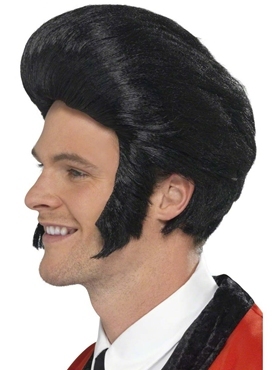 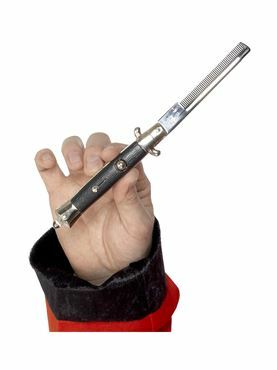 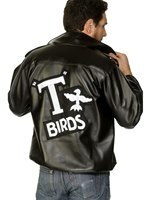 Ideal for a 1950's or Decades Themed Fancy Dress Party. 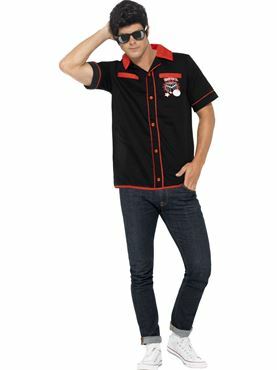 Our Adults 50's Bowling Shirt features a Retro Black Shirt detailing Red Piping and and Bowl and Pin Motif on the Chest. 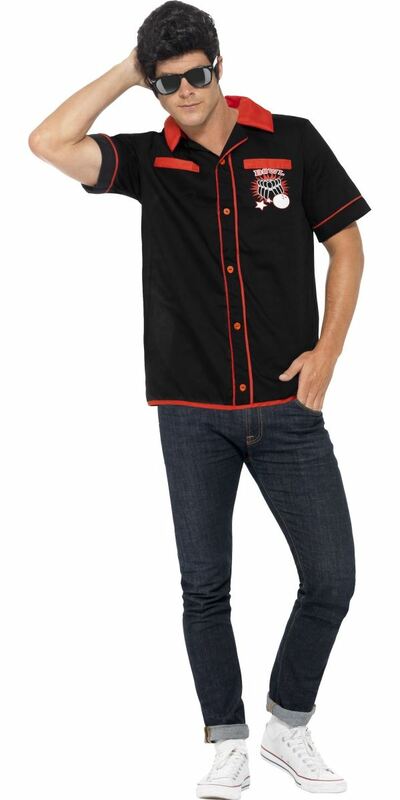 The Shirt also includes Red Faux Pockets and a Collar. 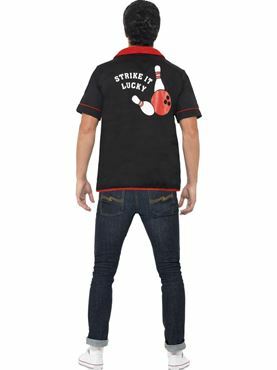 Completing the Fifties Bowling Shirt is the 'Strike it Lucky' Print on the Back along with the Two Pins and Bowling Ball.